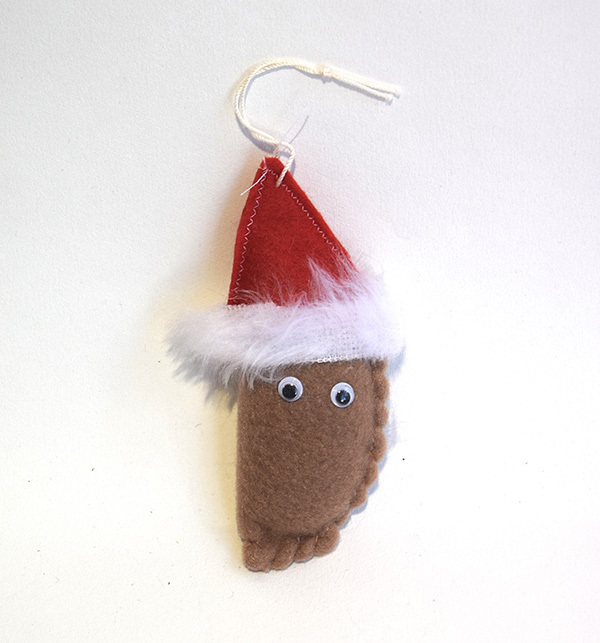 Home / Cornish Gifts / Pasty Gifts / CHRISTMAS PASTY TREE DECORATION. BACK AGAIN THIS YEAR OUR FAMOUS CHRISTMAS PASTY TREE DECORATION. Approx 3″ tall and 1″ wide. Your Christmas Tree won’t be properly dressed without one!